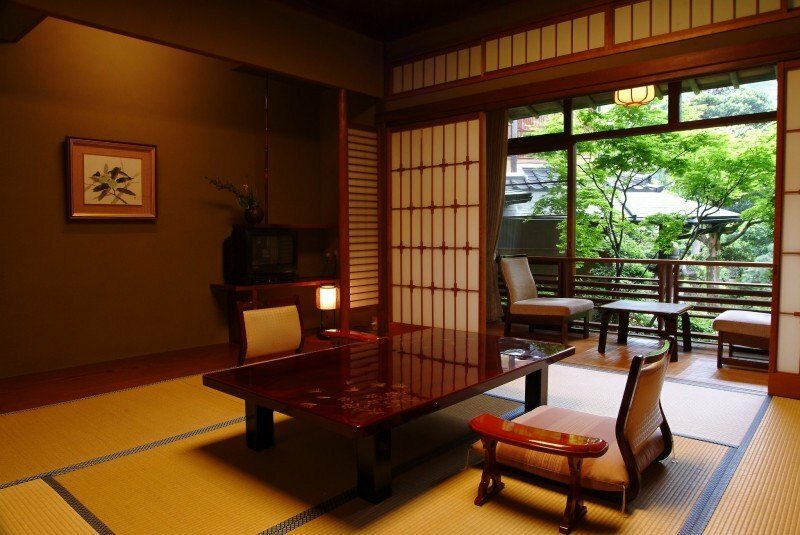 Japanese style hotels and ryokans are the ultimate luxury, high end accommodation. 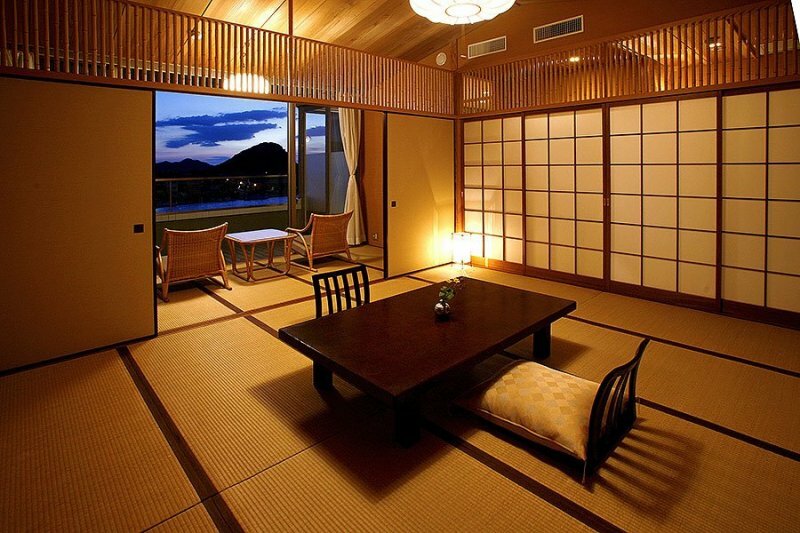 These uniquely Japan locations are attractive for their distinct Japanese style in areas such as tatami flooring, outdoor baths and yukata provided for each guest. 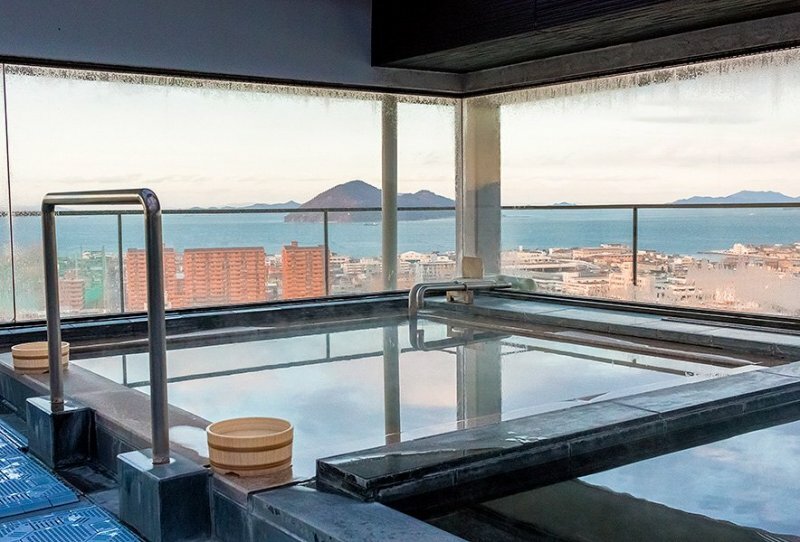 Tourists may initially be a bit hesitant to try new things such as public bath houses, but with this list there is nothing to fear as each resort has rooms with its own private outdoor baths. 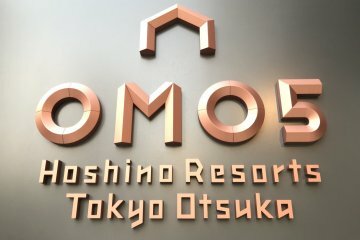 Visitors to these hotels will not want to spend all of their time indoors, however, as the hotels mentioned in this list are universally surrounded by fantastic coastal villages or hot spring towns with highlights such as river walks, narrow cobblestone paths, traditional lighthouses and much more within walking distance. 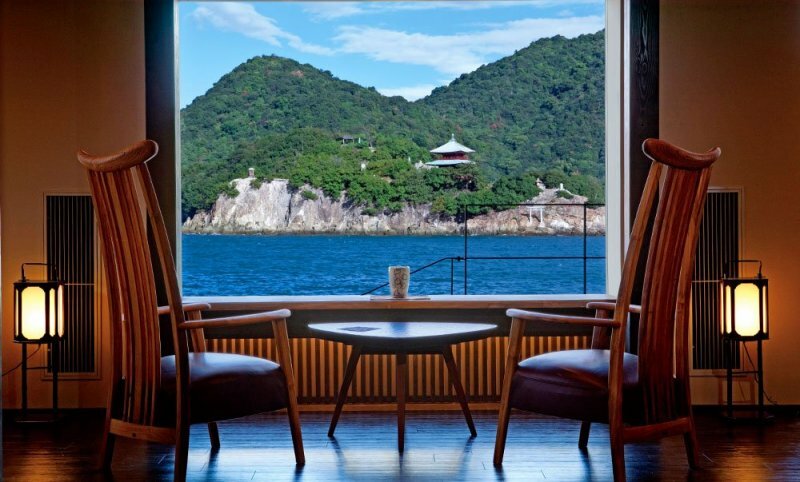 Here is a look at a few of our top onsen and hot spring recommendations across Setouchi. The first hotel on the list is the Bettei Otozure, nestled in the mountains directly overlooking a beautiful river that cuts through the Hot Springs village. 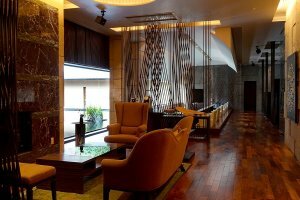 Overwhelming with hospitality and comfort, guests are welcomed to sit in a traditional tea room and have an introduction ceremony to review hotel facilities and the surrounding area upon arrival. The owner Otani-san speaks wonderful English. 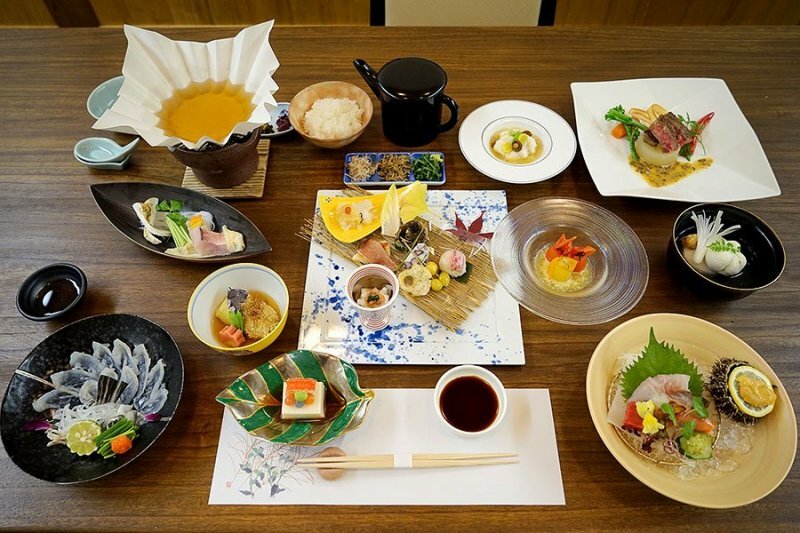 Within the hotel grounds is a beautiful garden and open air seating area, library, and museum with display of world-renowned ceramic arts from nearby Hagi. It is not hard to see why Prime Minister Abe-san chose this location to host Russian leader Vladimir Putin on a state visit. 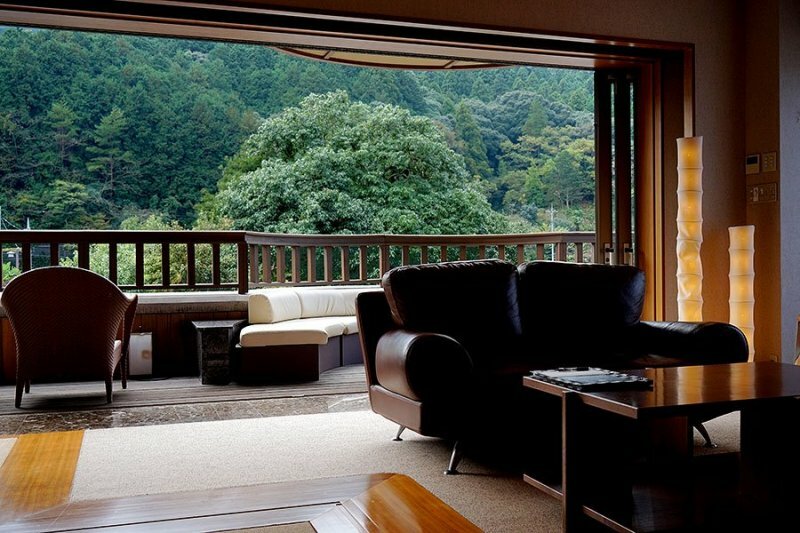 Each room comes with an outdoor natural hot spring bath and balcony area with views overlooking the forests and river. Tatami and futon bedding or western bed options are both available depending on your preference. Depending on the room type there may be multiple bedrooms, loft relaxation areas and more. Though you will certainly be tempted to stay inside the luxurious rooms and hotel throughout your stay, the nearby river provides a leisurely walking path through the hot springs town. Bettei Otozure is accessible via shuttle bus from Shin-Yamaguchi station. For a more scenic experience, hit the road in a rental car and enjoy the nearby Yamaguchi coastline. This seaside resort is a double package with beautiful waterfront views in the front and a fascinating coastal city just behind. Viewing the passing water traffic from your room while soaking in the open-air bath on your private balcony is unforgettable. 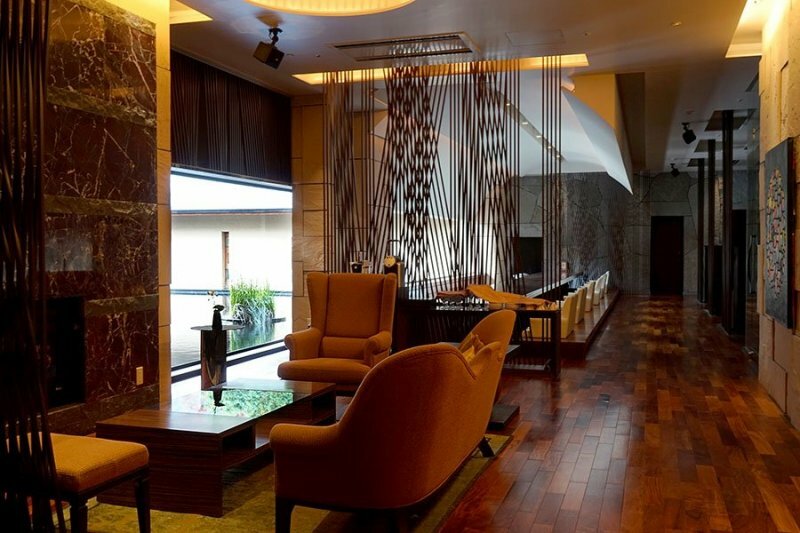 Within the hotel, multiple lobby areas provide memorable rooms for guests to relax in traditional Japanese decorated settings and furnishings. 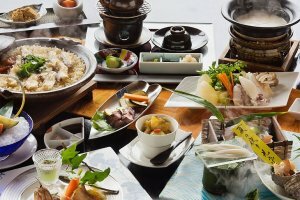 The restaurant, decks, spa area and private baths each provide abundant views of the seaside and nearby Sensui-jima island. This is a true luxury package and even Hugh Jackman stayed here for several days during one his movie shootings (The Wolverine). Expect nothing but the best from the menu as well. Food selections are an abundant mix of seafood freshly caught from the local harbor, top quality meat selections and seasonal vegetables. Each dish comes together as a work of art. 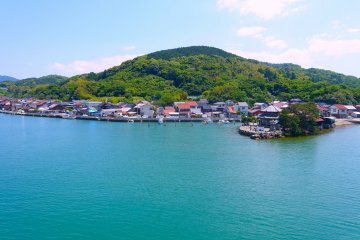 The town of Tomonoura itself is a major attraction point. This town provided the original concept for the village setting in the classic Ghibli movie "Ponyo". The port town has Japan's last remaining traditional lighthouse, numerous shrines and temples and cobblestone streets with interesting shops, cafes, and restaurants all around. 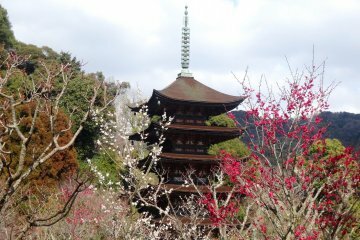 Migiwatei Ochi Kochi is located in eastern Hiroshima in Tomonoura, easily accessible by bus via Fukuyama City and nearby the Shimanami Kaido. 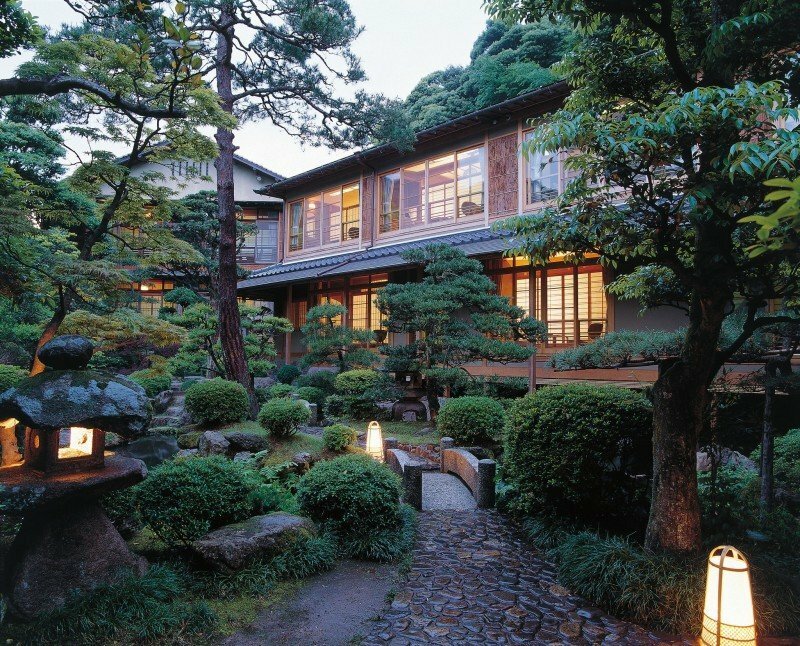 Set in the rural town of Kinosaki Onsen in Hyogo's northern Tajima area, Nishimuraya Honkan stands out as a traditional and luxurious ryokan. 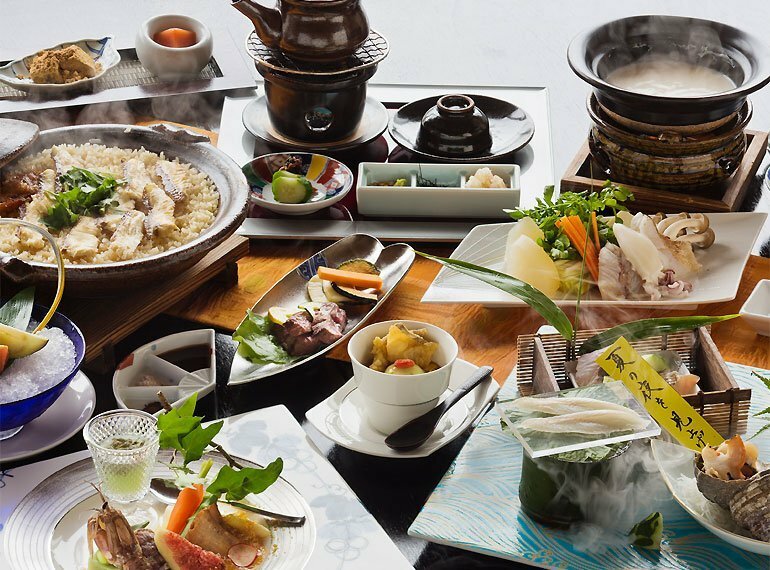 Nishimuraya Honkan treats its guests to an unforgettable experience with the combination of Japanese supreme hospitality and first class quality lodging and cuisine. 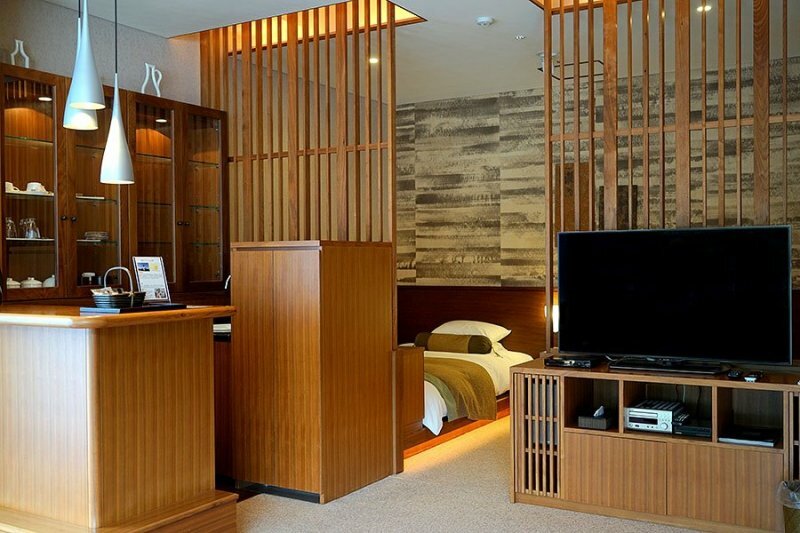 Each room comes with a set of high quality yukata garments perfect for strolling the town in style. 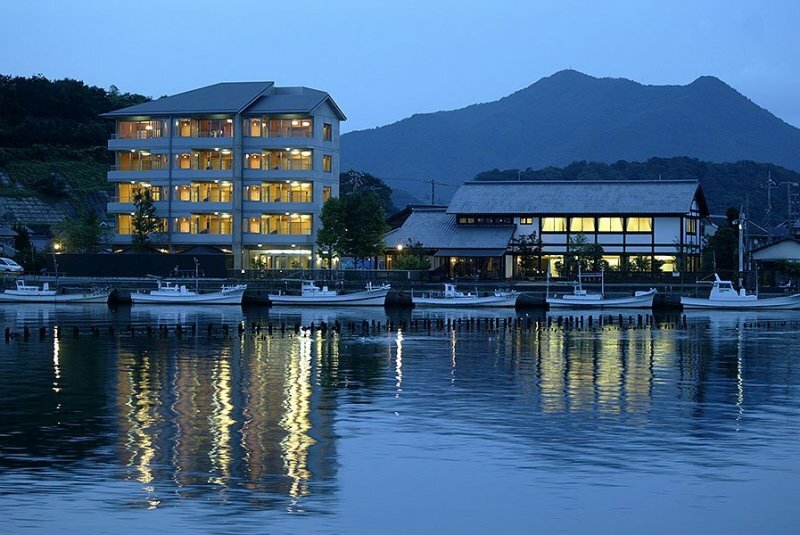 Kinosaki Onsen is perhaps the most well-known hot springs resort in Japan. 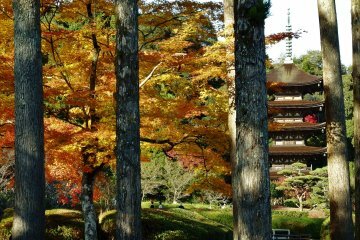 Roads are similar to lantern lit hallways and everywhere you go, people are dressed in yukata and geta sandals similar to the halls inside a ryokan. The atmosphere is warm and friendly throughout the city, with traditional entertainment and snack options abundant as you stroll along the streets. 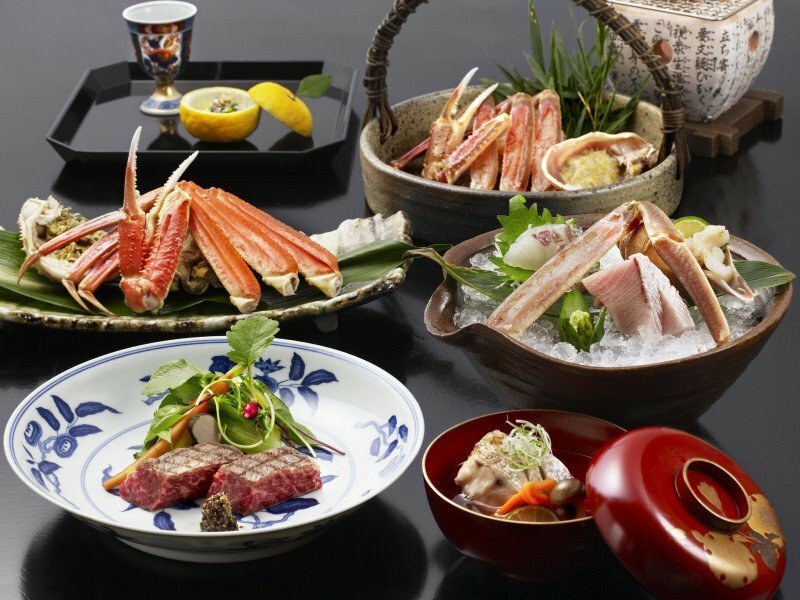 The ryokan has won numerous awards and continues to impress from the quality of the rooms to the seasonal courses including Matsuba crab and Tajima beef specialties. 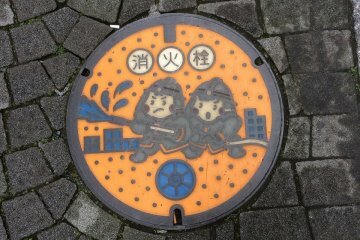 Nishimuraya Honkan is located about a 15 to 20 minute walk from Kinosaki Station in the town of Kinosaki Onsen. From Himeji or Osaka, there are express trains to Kinosaki almost every hour with a ride duration of just over two and a half hours. Settled high up overlooking the seaside town of Takamatsu, Hanajyukai provides a view of the seaside village and waters below. Built directly into the side of the mountain, the entrance is towards the top of the building and visitors descend downwards to their rooms. 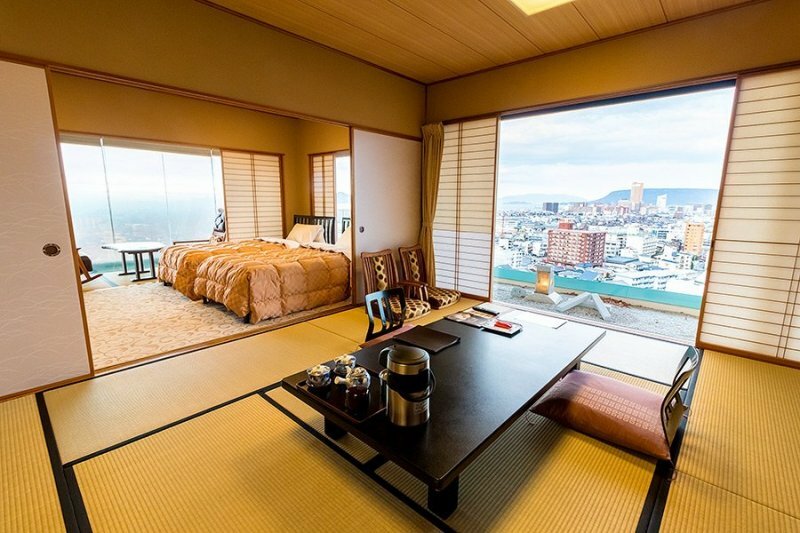 The spacious rooms are larger than most ryokans and have large paper doors, windows and both bed and futon options. The facility has private gardens, multiple hot spring options such as foot baths and volcanically heated mineral waters in cypress bathtubs in the privacy of your room. Meals are served in course succession with impeccable timing and exquisite presentation. Hanajyukai is located in Northern Kagawa Prefecture. The city of Takamatsu is accessible via JR train and Takamatsu Airport. Hagihakkei Ganjima Besso is a traditional accommodation with all of the comforts you would expect from a top class ryokan experience. 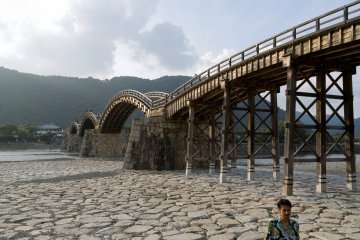 Famous for superb sunsets and sea views from the mouth of the Matsumoto River this is one of the most beautiful sceneries in Hagi. 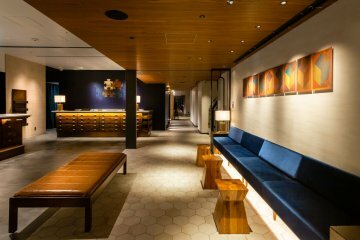 Lounge, restaurant, baths and guestrooms are each designed with exquisite attention to detail. Take in a private bath on one side of the balcony and then move to the lounge chairs on the other side. Full sized beds and sofas on beautiful wooden flooring mixed with low tables and lounge chairs over tatami create a mix of Japanese style and modern comforts. 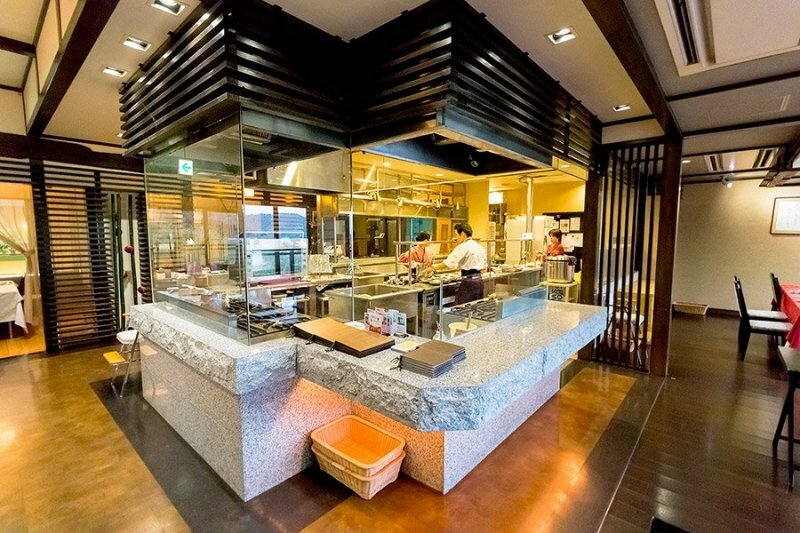 The cuisine is a mix of fresh seafood from the Kitaura Sea and local ingredients. Famous local sake selections provide refreshment. 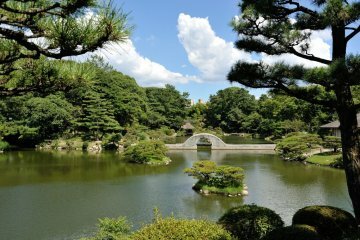 The local streets are filled with Japanese style houses and gardens and the area is perfect for a leisurely stroll or bicycle ride. 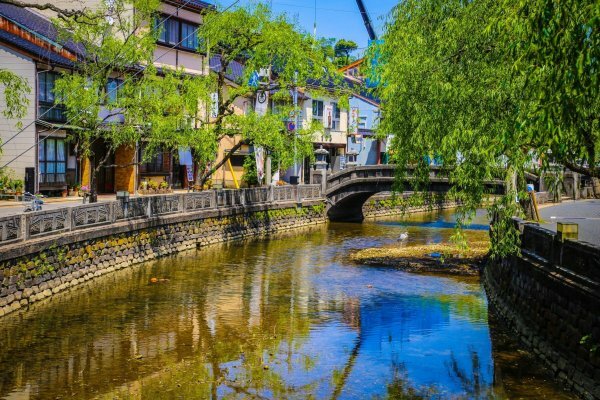 Hagi is well known for traditional crafts and world-renowned ceramics and pottery so be sure to check out the local workshops. Hagihakkei Ganjima Besso is located along the Sea in Hagi of Yamaguchi Prefecture. The nearest station is Higashi-hagi station, about a ten minute walk from the hotel. 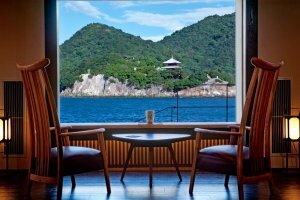 Be sure to check out the other attractive accommodation options available in Setouchi.